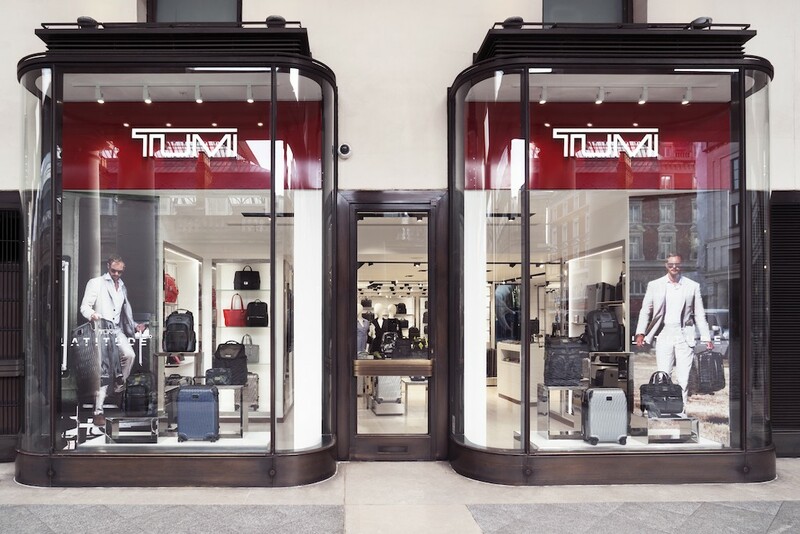 TUMI, the international pioneering brand of high-end travel, business and lifestyle bag essentials has just opened a new store in the heart of London in Covent Garden. The brand was founded in 1975 and named after a Peruvian ceremonial knife used for sacrifices. The new store brings an innovative concept to their newest store; architecturally strong, sophisticated and modern space to bring the brand’s aesthetic to life. This would mark their third central London store and their fourth stand-alone store in the United Kingdom, adding one more store to their 120 international stores and their existent 2,200 points of sale. The new space is designed as a premier retail hub where Global Citizens can experience the innovative and most advanced technology in the world of travel-lifestyle retail. 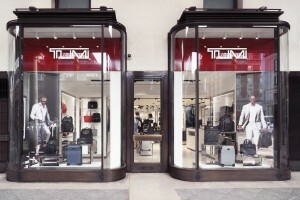 Costumers are captured in the cutting-edge world of TUMI as soon as they stand in front of the store, displaying two transparent glass vitrines showcasing the best products and peeking into the inside of the shop without giving too much away. Each vitrine is marked with the brand’s logo on top with the dark but vibrant red background and the white writing. Upon entering, the neutral toned material used calms the atmosphere in contrast to the structured scaling ceiling with monochrome edging that opens up the space. The color palette keeps smooth with cream plank floors and colours from the historic piazza lighting up the whole milieu. In the 103 square-meter storeroom, customers are able to not only discover the newest and beloved new products but also the live installation showcasing the technology behind their new SS18 Latitude collection, that is the TUMI Custom Wall. In addition, customers are invited to experience the personalization station where they can receive complimentary initialling on their purchases. The store can be found within the shadow of the vibrant Covent Garden Market and adjacent to the iconic Royal Opera House at 10 North Piazza, Royal Opera House Arcade, London, WC2E 8HD.